How Shall Affordances Be Refined? What should and should not be considered an affordance is still an open issue. 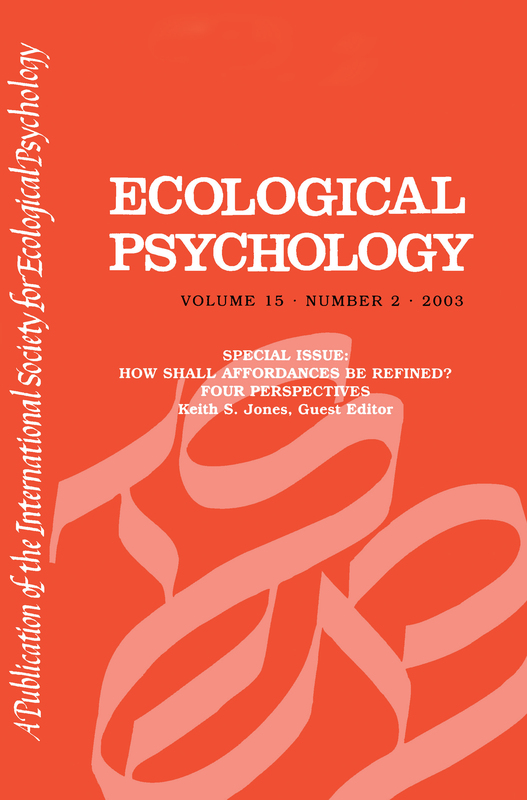 This special issue expands on the 2002 North American meeting of the International Society for Ecological Psychology covering this topic. The first article argues that affordances are properties of the animal-environment system and are emergent properties that do not inhere in either the environment or the animal. The next paper focuses on four issues regarding affordances: the ontological status, whether or not they are necessarily related to (one's own) actions, the relation between affordances and effectivities, and the nesting of affordances. Finally, several exemplars of phenomenologically driven perceptual research are examined, as well as the advantages over extant theories of affordances.